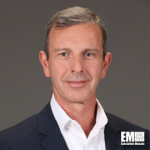 Ray Falcione, former director of federal programs at Adobe (Nasdaq: ADBE), has joined OmniSci as vice president of the analytics firm’s U.S. federal business. The more than 25-year industry veteran will lead efforts to grow OmniSci’s government market presence, strengthen partnerships and help clients implement technology, the company said Thursday. At Adobe, Falcione oversaw the software vendor’s projects with national security, law enforcement, homeland security and intelligence customers. He previously served as a vice president at Software AG’s government solutions unit and held senior management roles at Oracle (NYSE: ORCL), Sun Microsystems and Brocade. OmniSci’s technology is designed to use graphics processing units to analyze big data stored on premise or in the cloud.